We should expect to see variations around the country for residential housing in 2018. For example, the Hobart market is extremely tight and there will be ongoing price gains there, and some peri-urban regional markets in New South Wales & Victoria are tracking well. Overall, though, access to credit is being squeezed at present, and on average that means lower price growth and less investor activity. There is a possibility that after the initial impact of macroprudential measures washes through lending loosens a bit later in the year – growth in investor credit is tracking well below the prescribed speed limit – but for now, finance is slowing. One of the most interesting factors to watch will be how the crackdown on interest-only (“IO”) lending plays out. 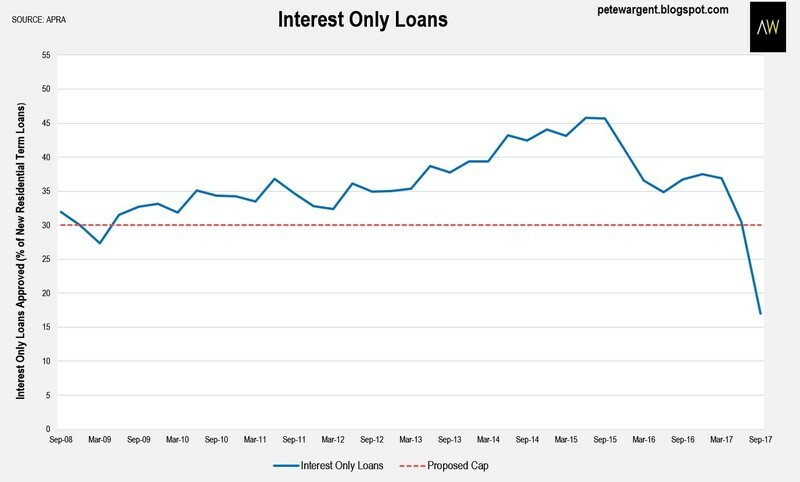 I wrote on Livewire last year that some portfolio investors with multiple IO loans will get themselves into trouble because they’ll find that they can’t roll them over as they’d expected. The higher principal & interest payment for those owners will result in some stress and forced sales, and some of those chickens are coming home to roost now. I’m not as gloomy as some other commentators, though, partly because employment growth and jobs vacancies have been shaping up very well. The economy is in better nick than it has been, and the volume measures of underutilisation are now in a multi-year decline. I believe this means that household income growth should be through the lows. Has Australia reached the top of the cycle in real estate? Sydney’s market may be at or close to the peak of the cycle, although the unemployment rate across Greater Sydney continues to fall toward just 4 per cent, and both employment and population growth are presently very strong. Indeed, immigration is picking up in each of the three most populous states, so there will be plenty of ongoing demand for housing in the three main capitals. 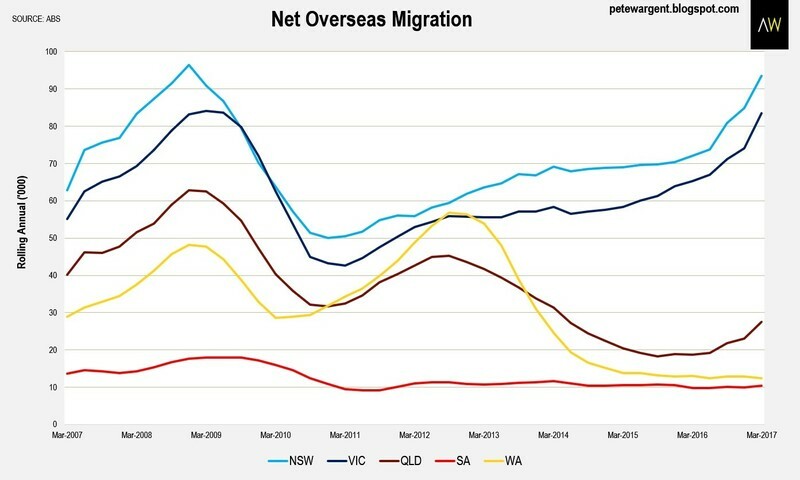 Internally, cyclical interstate migration north from New South Wales to Queensland is now also picking up pace. Although some apartment markets are evidently struggling, south-east Queensland is home to some of the best value markets and opportunities. In fact, we’ve been actively buying in Brisbane for several years, with a focus on good (flood-free) blocks of land close to the city, with development potential. We’ve seen some excellent results in suburbs such as New Farm and Teneriffe, for example. Is a property crash coming? A property price crash is always possible, but it doesn’t look likely, with the economy improving (the mining investment drag is now over). Job vacancies are at the highest level in nearly 7 years, and the unemployment rate trending down to 4½ year lows. In terms of interest rates, the base case is for the cash rate to go nowhere in 2018, with core inflation very low, though that view could become more hawkish later in the year. Arguably funding costs could rise, but realistically, mortgage rates remain extremely low, at least for homebuyers using principal & interest mortgages (some discounted variable rates are near 60-year lows). This doesn’t mean that there aren’t risks in the market, but mortgage rates are at very low levels for now. Are some markets riskier than others? Sure. We’ve been talking about a looming oversupply for several years in inner Brisbane’s apartment sector and that market has corrected, albeit only marginally to date. 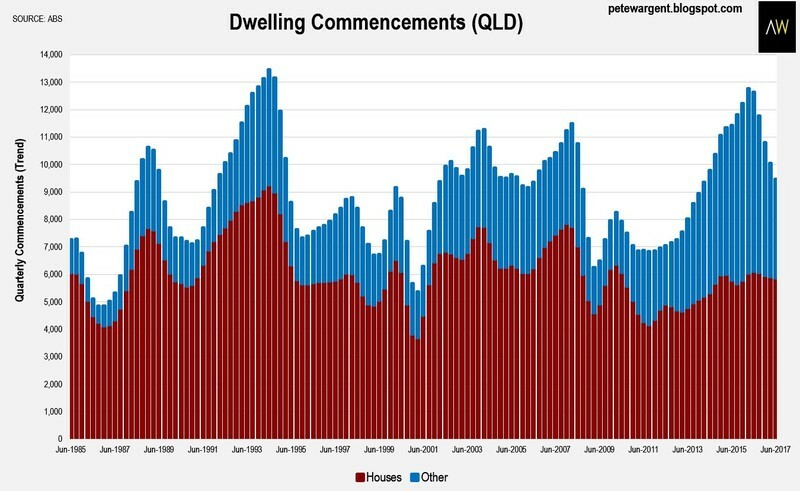 This has been Queensland’s greatest ever apartment construction boom, eclipsing even the post-recession boom of the early 1990s, although far fewer houses have been built this time around. On the ground it’s evident that apartment commencements have slowed to a crawl and population growth is picking up pace, so the market is steadily rebalancing. Elsewhere, Perth seems to be turning a corner after a tough few years, though overall sentiment in Darwin is subdued. From a financial stability perspective, I don’t think anyone should accuse Australia and its regulators of complacency. Risks have been discussed regularly by policymakers and almost daily in the media for years, with far more airtime than we ever saw before the financial crisis. In terms of market participants, I don’t believe enough borrowers have understood or appreciated the sweeping changes to lending standards. Those on interest-only (“IO”) products need to plan their cashflows very carefully. 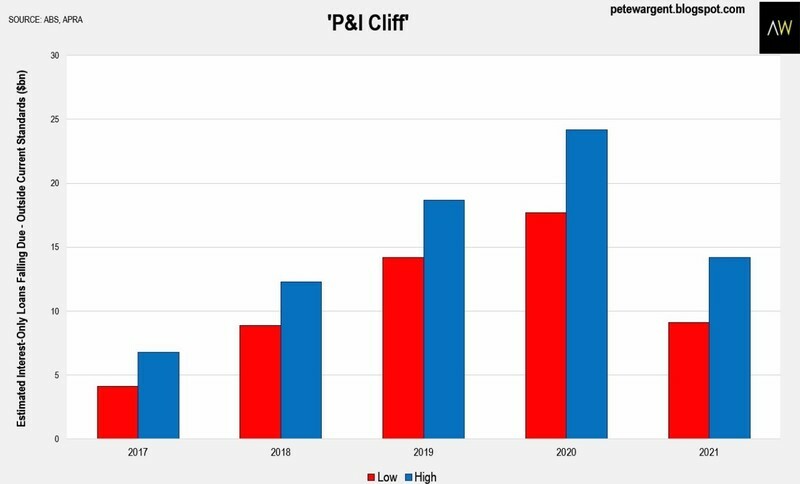 My estimates of annual IO loan rollovers approved under looser standards that would fail today’s serviceability tests could increase to about $20-$25 billion over the next three years, peaking in 2020 (five years after the peak of IO lending frenzy, when IO loans hit 45pc of the entire market). Not enough consideration is being giver to the forthcoming federal election in 2019. The Labour Party has proposed some significant changes to tax legislation which would send a few ripples through the market if implemented. Financial markets in general haven’t been pricing in much risk, which potentially leaves us vulnerable to a shock. Great article Pete. It's nice to get a balanced view on housing, rather than the usual perma-bulls and perma-bears.